I have no idea — but when they decide to cross it, they are hell bent and determined. I affectionately refer to my husband as “The Turtle Whisperer” because whenever we are out driving and we see one on the road, he slams on the brakes (much to the annoyance of the cars behind us), and runs out into traffic to carry it across the road. 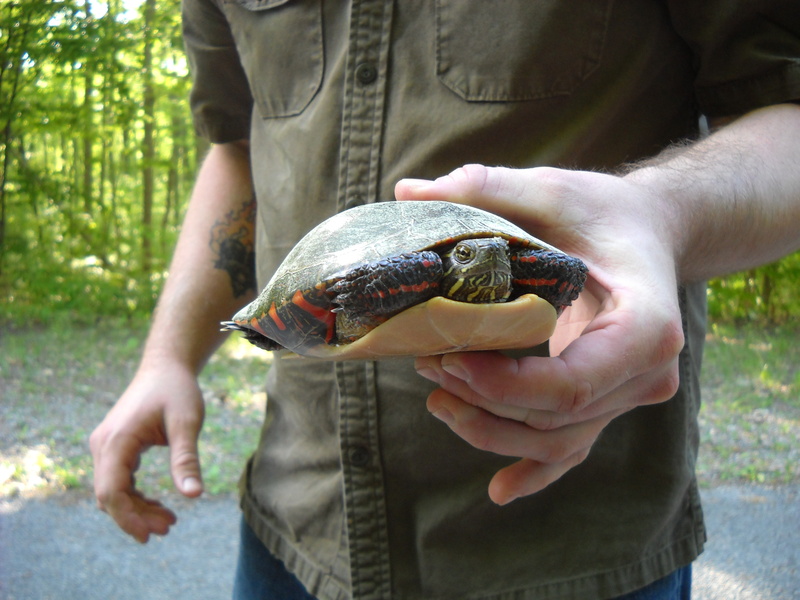 Usually, the turtles that we see are small and docile enough to quickly pick up and carry across the road. But what do you do if you come across a large snapping turtle?